ST. GEORGE — The Washington County Commission bid farewell to outgoing Commissioner Zach Renstrom during its Tuesday meeting. The commission passed a resolution thanking Renstrom for his “humble and caring service,” while also crediting him with a number of contributions to the county over the last four years. Among the contributions Iverson was listed as playing an instrumental part in were getting a branch of county library built in Hildale, the building of new work release housing units at the Purgatory Correctional Facility, hiring a regional marketing firm to promote county tourism and helping put elected officials on the Washington County Water Conservancy District’s board of trustees. Those items were just a small portion of what Renstrom has done for Washington County, Commissioner Victor Iverson said. 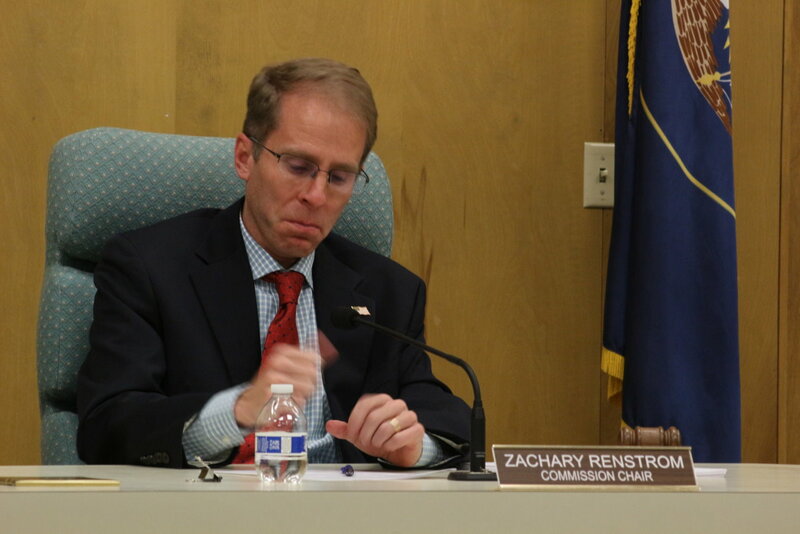 Renstrom was elected to the County Commission in November 2014 along with Iverson. 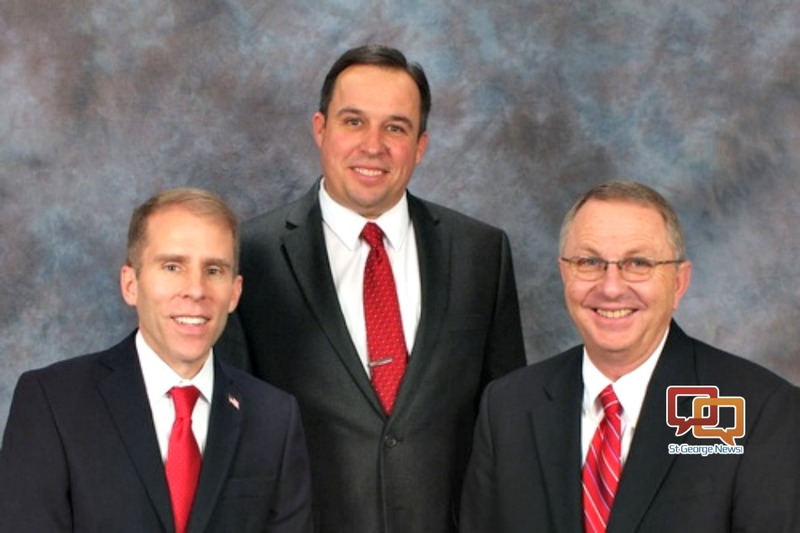 While still working as the county administrator in 2014, Cox said he noticed Renstrom visit with then-Commissioner Denny Drake prior to his running for office to discuss the duties of the office. From there, Cox said he watched as Renstrom traversed the county in order to court Republican delegates for the party’s nomination while also listening to their concerns and issues. One issue, Cox noted, was some residents in the unincorporated areas feeling they had no representation on the water district’s board of trustees. Renstrom would eventually take on that responsibility by joining the board. Renstrom’s background includes being a civil engineer, lawyer and business owner, which brought a “refreshing” and “keen insight” to the commission, Cox said. He also gave Renstrom some of the credit for influencing his own decision to run for the County Commission in 2016. Iverson added that it was “an honor” to serve with Renstrom, saying that the two have supported each other’s work on the commission and got along well on issues related to the county. “These last four years have been fantastic,” he said. Iverson noted Renstrom’s joining the water district next year and was thankful he would continue to contribute to the county’s well-being in that capacity. “This would be harder if I didn’t know how much the water district needed your leadership,” Iverson said. Renstrom will be shadowing water district general manager Ron Thompson, who is set to retire by the end of 2019. Renstrom, who become emotional during the reading of the resolution, said his term on the commission counted for some of the best years of his life due to the people he worked with during that time. “Beside the title of father and husband, being a county commissioner has been one of the greatest honors I’ve ever had. Thank you,” Renstrom said. 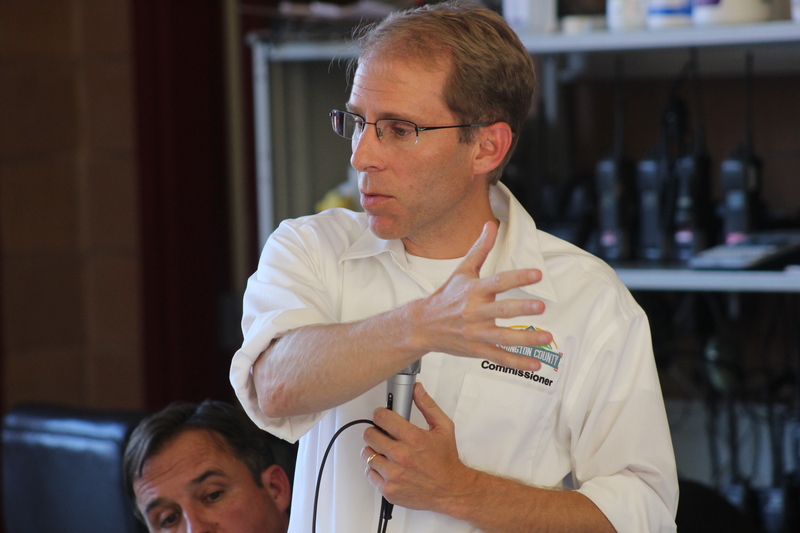 Renstrom’s commission seat will be filled by Commissioner-elect Gil Almquist. In other business, the County Commission voted to make Cox the commission chairman for 2019. The commission also approved a memorandum of understanding between the county, water district, Hurricane and LaVerkin concerning the LaVerkin hot springs, which are more commonly known as the Pah Tempe hot springs. The springs are closed to the public, but the commission’s action creates a committee to explore the possibility of reopening the hot springs for recreation use. The county’s budget for 2019 was also adopted by the commission. The budget is about $103 million after adjustments were made since its preliminary adoption in November. This includes an additional $1.75 million expense for a river project in the Ivins area, as well as an annual $13,000 debt service commitment related to the Rockville-Springdale Fire District.